A good, tight copy in original fragile printed wrappers. 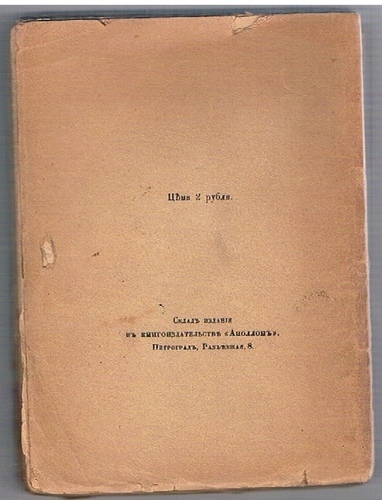 Small piece missing to lower corner, spine a little chipped, faint cup-ring to upper cover, two small holes to lower cover. Usual browning to paper. 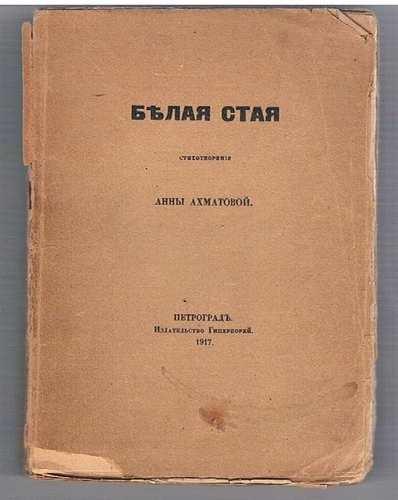 ; First edition of Akhmatovas third collection of poetry.